The Siamese Twins, also known as the Butterfly Galaxies, are a pair of colliding unbarred spiral galaxies located in Virgo constellation. The galaxies lie at a distance of 59.4 million light years and are members of the Virgo Cluster. 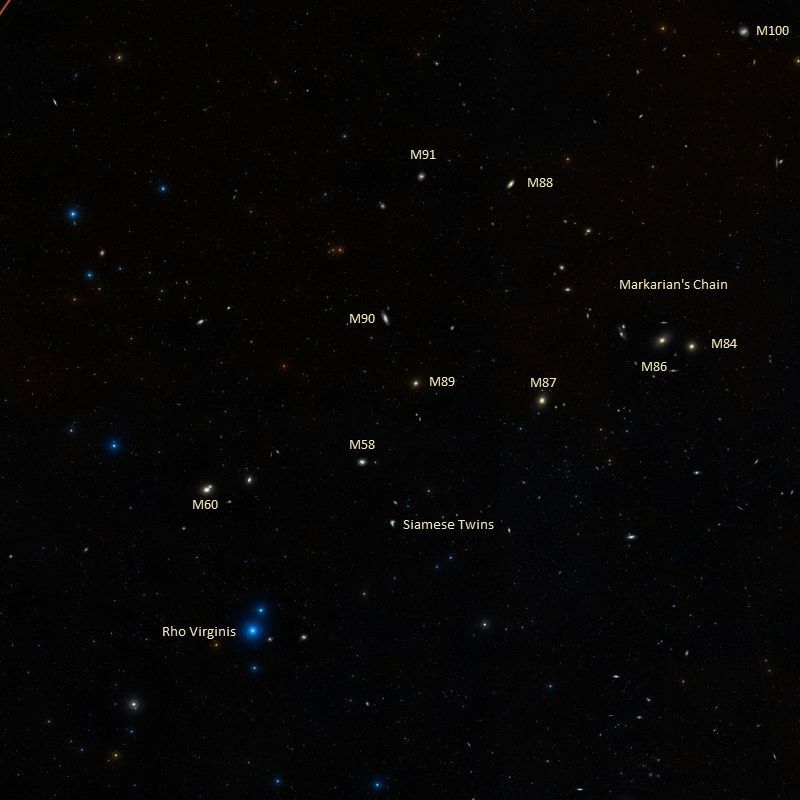 They have an apparent magnitude of 10.9 and an absolute magnitude of -13.3. 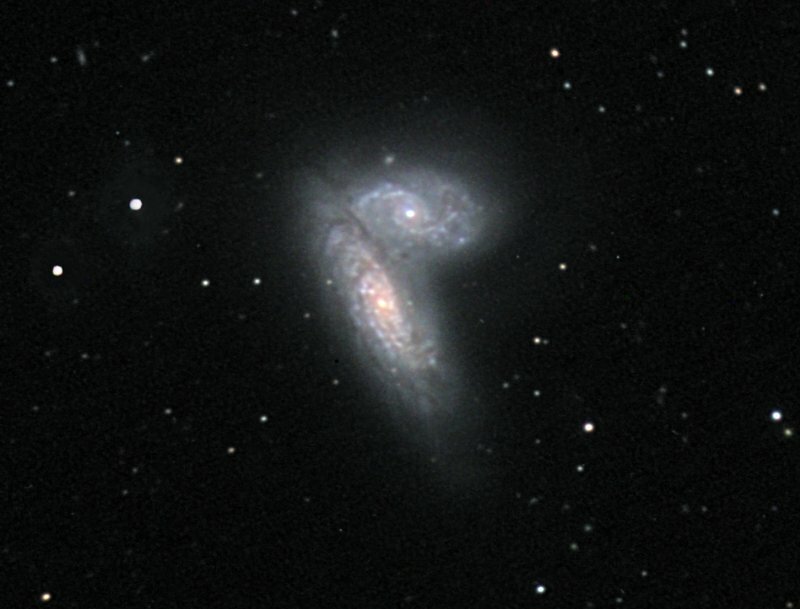 The galaxies’ designations in the New General Catalogue are NGC 4567 and NGC 4568. Both galaxies are classified as type SA(rs)bc / SA(rs)bc. 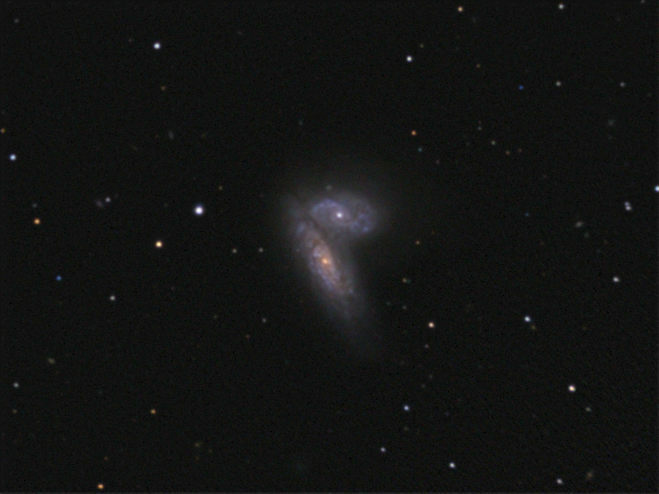 NGC 4567 appears almost face-on and has a magnitude of 11.5, while NGC 4568 has an intermediate orientation and a magnitude of 11.2. The galaxies can be seen in smaller telescopes, but only appear as a V-shaped nebulosity, which earned them the nickname Butterfly Galaxies. The Siamese Twins are still in an early phase of colliding and merging with each other based on the studies of the galaxies’ distributions of neutral and molecular hydrogen. They are called the Siamese Twins because they appear almost identical in structure and shape (their inclination to our line of sight notwithstanding) and are connected. The galaxies were once suspected of being just a chance alignment because there was no evidence of distorted structure or tidal filaments, but more recent studies, especially in the infrared, showed that they were indeed in the process of colliding, with the highest rate of star formation occurring in their overlap region. The galaxies were discovered by the German-born British astronomer William Herschel in 1784. 19th century observer L.S. Copeland was the first to refer to them as the Siamese Twins. A type Ic supernova, designated SN 2004cc, was observed in NGC 4568 in 2004. The galaxy was also the host of SN 1990B in 1990. SN 1990B reached a magnitude of 14.4 and was also classified as a type Ic supernova. 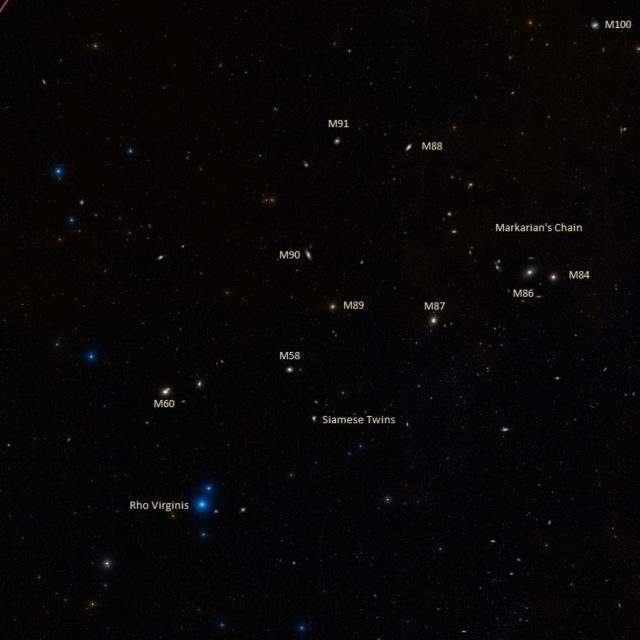 The Siamese Twins lie in a region of the sky rich with bright galaxies, near the heart of the Virgo Cluster. Messier galaxies in the vicinity include Messier 58, Messier 60, Messier 87, Messier 89 and Messier 90. 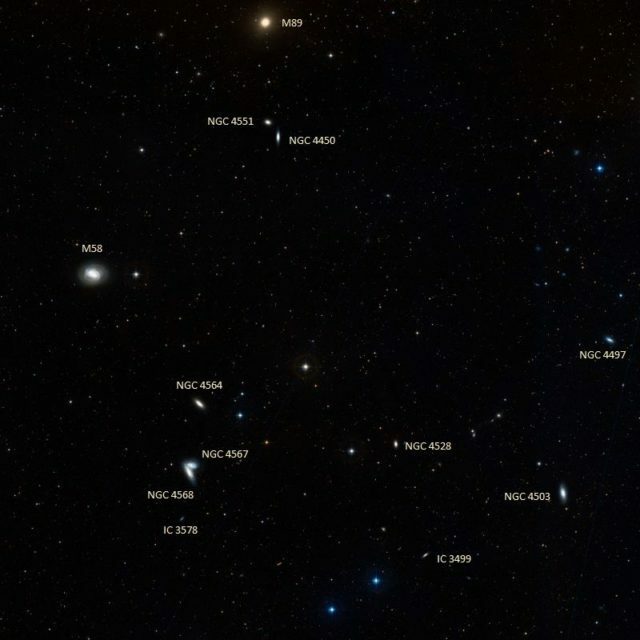 Other neighbours include the elliptical galaxy NGC 4564, spiral galaxy IC 3578, and barred lenticular galaxy NGC 4528.